He was born to Inez Holdaway and Val Dunn Hicks in Provo, Utah, February 6, 1933. He had many years of paralysis beginning at age eight, so his life has not been easy. Dr. Hicks was an active alum of South High School, graduated from the University of Utah with a bachelor's degree, then a master's degree from University of Southern California, and obtained a doctorate in music from the University of Utah. Val loved music, thanks to his musical mother, Armont Willardsen at South High School, and SPEBSQSA. At age 18 he became a member of SPEBSQSA (barbershop quartet singing). Val sang, directed choruses, served as an international judge, and coached quartets. He was invited by the Smithsonian Institute to create a special music section on barbershop quartet singing. Val composed many songs and also arranged thousands. (His arrangement of The Star Spangled Banner has been performed at the Super Bowl and elsewhere). 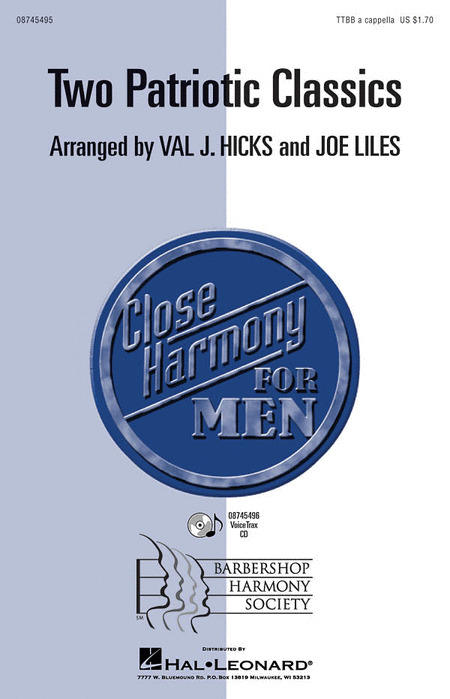 Opening with a very free close harmony verse, this favorite song moves into an easy swing that will show your vocalists at their best! Available separately: TTBB, VoiceTrax CD. Duration: ca. 2:10. 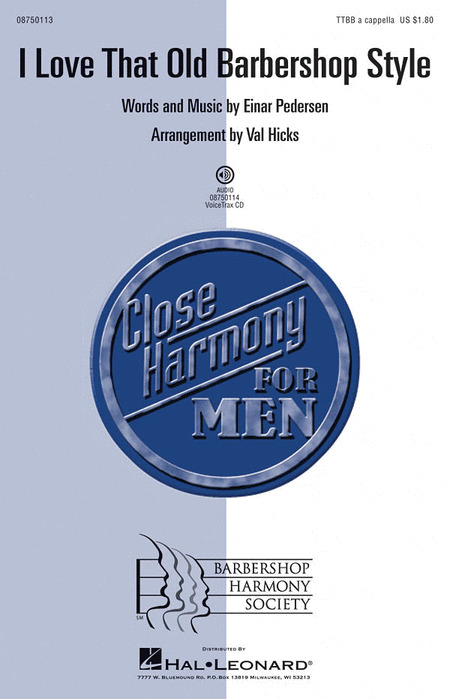 Four-part a cappella harmony TTBB arrangement. Order minimum of 4. Raise the roof with the vibrant harmonies found in this fun combination of two folk favorites! 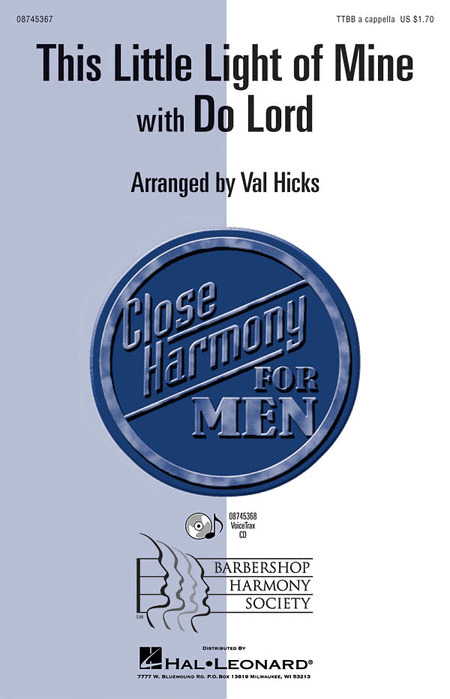 Includes: This Little Light of Mine and Do Lord.Available separately: TTBB and VoiceTrax CD. Performance Time: Approx. 2:00. 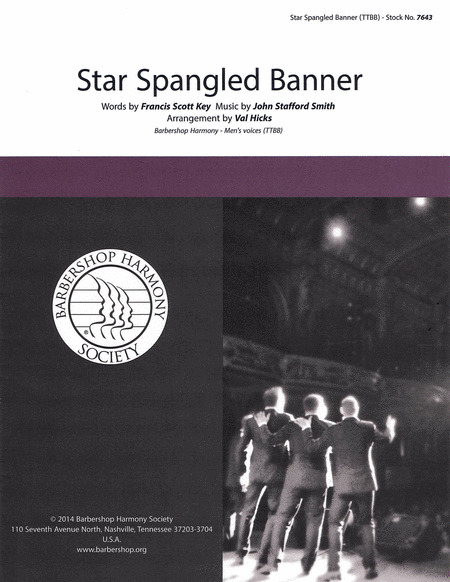 Perfect for sporting events or other celebrations, this arrangement of The Star Spangled Banner will thrill any audience. Also includes a harmonic overlay for the classic America the Beautiful.Available separately: TTBB a cappella and VoiceTrax CD. Performance Time: Approx. 3:30.